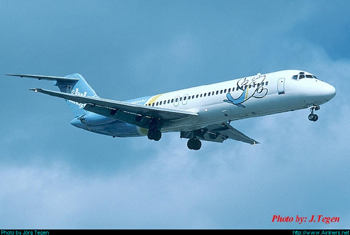 ValuJet Flight 592 crashed while attempting to return to Miami, Florida after experiencing a loss of control caused by an uncontrolled fire which started in the airplane's forward cargo compartment. The National Transportation Safety Board determined the fire was initiated by the actuation of one or more chemical oxygen generators which were being improperly carried as cargo. All 110 passengers and crewmembers died in the crash. After the accident, new transport airplane regulations were instituted requiring the incorporation of fire detection and fire suppression systems in existing and future cargo compartments. This accident serves as a classic case study of how multiple breakdowns and errors within a complex organization can conspire with disastrous results.